While your watercolor paints are handy, we’re going to try another technique. 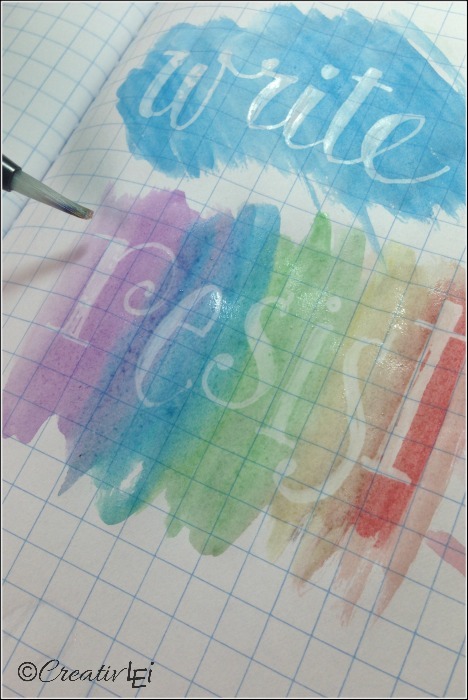 Watercolor resist is a beautiful art, but it doesn’t have to be complicated! This post contains affiliate links. My full disclosure statement can be read here. Traditional resist lettering is done with masking fluid. It isn’t expensive, but it is a bit tedious. 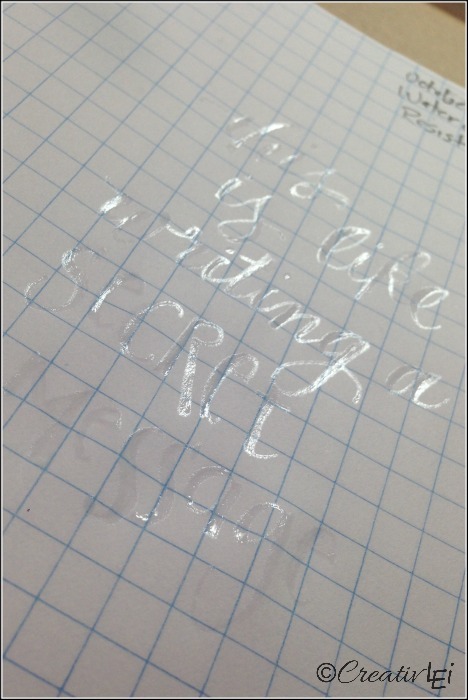 For formal calligraphy I’d highly recommend experimenting. 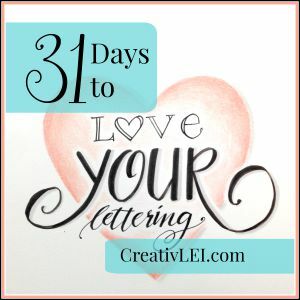 However, for the purpose of our #LoveYourLettering series, we’re finding ways to make our own handwriting and creative lettering fabulous with tools we might already have. 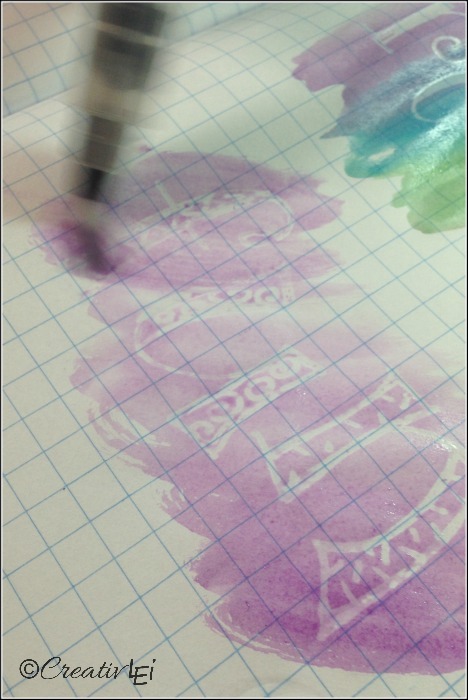 For our watercolor resist will be using a Glaze gel pen from Sakura. It’s like writing a secret message. 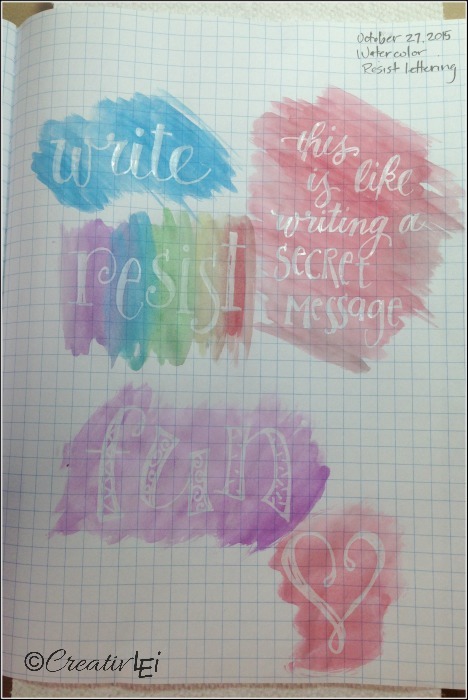 You’ll write with the gel pen in any style you prefer, I mixed some faux calligraphy and typography and whimsical letters. It’s really hard to pick up the writing with a picture. Trust me, it’s there. I thickened most of the letters similarly to how we practiced in the second week. Allow it a minute or two to dry well. Then go over the letters one more time and let it dry again. Once it’s dry choose your colors to reveal your lettering. Just let the watercolors dry and enjoy! This would be a fun activity with the children. You could letter a message and let them reveal it. Think of a quote to create a gift from this technique. 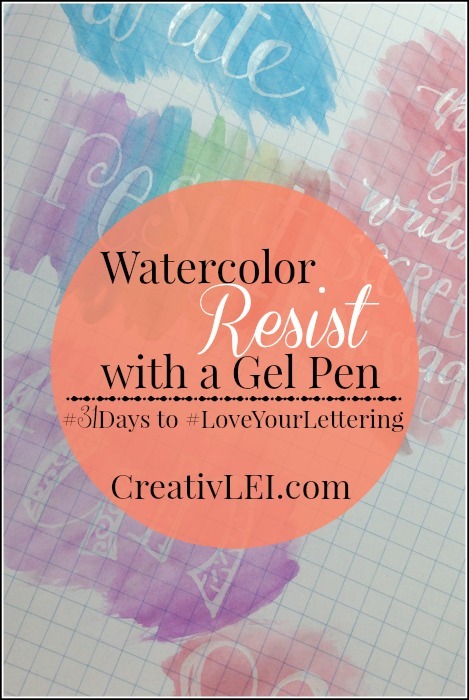 It’s really a great way to explore resist letters without much fuss. Here’s a replay of my Periscope demonstration of this technique. Be sure to send me your questions! I have used this technique on envelopes. That works well. Each time I have used watercolor paper and then used distress inks to watercolor. That might be an idea for your envelope class. That is a fun technique to consider. Thanks!